Adriatic Maritime Institute created many new opportunities for young people from challenging backgrounds in its youth programs for summer 2015. This year we had several new partnerships, the expansion of the tremendously successful Great Watermelon Voyage, and the addition of a program highlighting traditional boatbuilding on inland rivers. Students cleaned the banks of the river as they paddled their way back to the home and logged the debris on an app for data collection. A crowd on the shore helped pull the boat out on a trailer that was built and the boat now is part of regular rowing programs on the river with the students who built it. The River Program was featured in the national magazine More. This program served as the pilot program for the Peace River Odyssey. This new program will take place between Croatian, Bosnian, and Serbian students as an international peace building program, which is planed for the summer of 2016. The students from the Vrbina Home will also participate in this program. More about the Peace River Odyssey is highlighted below. During summer 2015, the Great watermelon voyage again gained national recognition. This ambitious project sailing though the islands from Dubrovnik to Split then to Ploće and back allowed students to live in an era that has long since past. 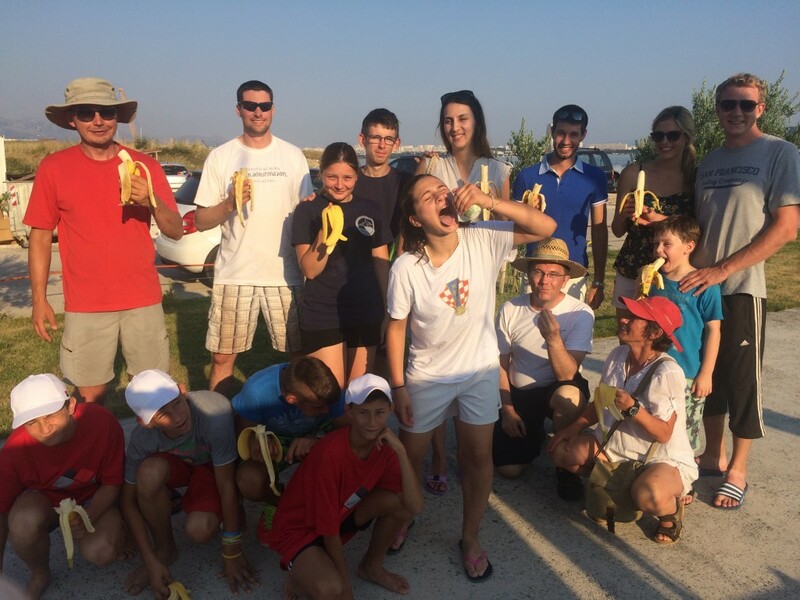 Students from Kastel Lukšic, the Home for Children without Parents, Dobrila and Miljenko were the crew who piloted the historic sailing vessel Gospa od Mora for over 350 miles. During the 10 day voyage, Students from the home were responsible for all aspects of handling the working vessel including the loading and securing of the cargo and navigation underway. This program gave students a real life experience that will stay with them for years to come. Not only did they help to sail a classic ship up the coast and have an experience of a lifetime, they also benefited their communities by helping to raise money for the home. The media coverage was also substantial, getting national media coverage on television and featured prominently in each of the articles, web and radio features. The Kornati Adventure was an opportunity for the students from the organization MoSt, which is a transitional program for at risk youth, many of whom who have been in the care of the state. During this program, students live and work for several days on the big island of Kornat in the Kornati Archipelago. Working together with a local family, students work in the fields to cut sage to make into oil, take care of sheep and other agricultural tasks. The students as part of AMI programs always use boats as well. In these islands in particular the Betinska Gajeta is the vessel of choice. 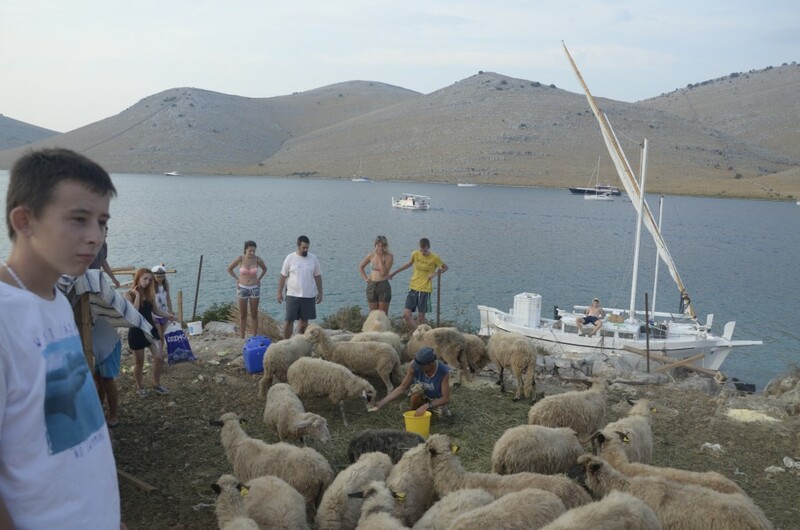 For centuries, these traditional vessels were used to get to the islands, work the land, and to fish the productive waters, for the second summer in a row summer, our students sailed to the Kornati Islands to do the same. They cut fresh sage and prepared it for transport, all the while learning about the traditions of the maritime life in a remote island group. This program will be featured in the Internet portal Morsko Prase October the premier sailing website in Croatia. 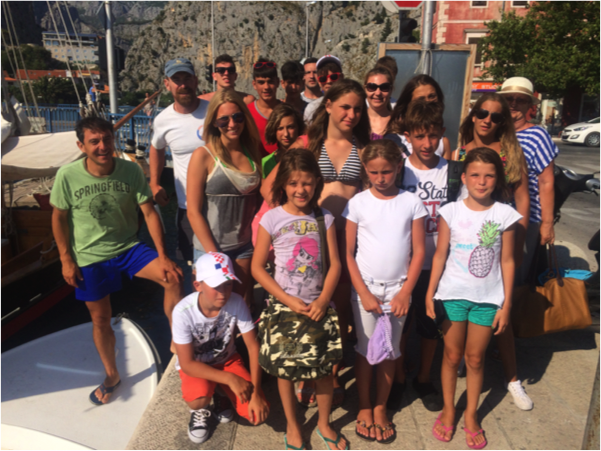 Sailing school and Marine biology classes were conducted in the months of July and August. These sessions were conducted in the Home Dobrila and Mljenko in Kaštel Lukšic. Every summer students other homes from around the country come to this location to spend a few weeks on the coast. Our organization was able to organize programs for the students while they were there. This included a combination of students from Kaštel Lukšic and students from other homes including Home “Valdimir Nazor” in Karlovac. By combining students of different ability levels they got the chance to teach one another. The program had two independent groups one group was focused on marine biology, specifically looking at animals and plants that have adapted to the intertidal zone while the other group was learning navigation and boat handling. 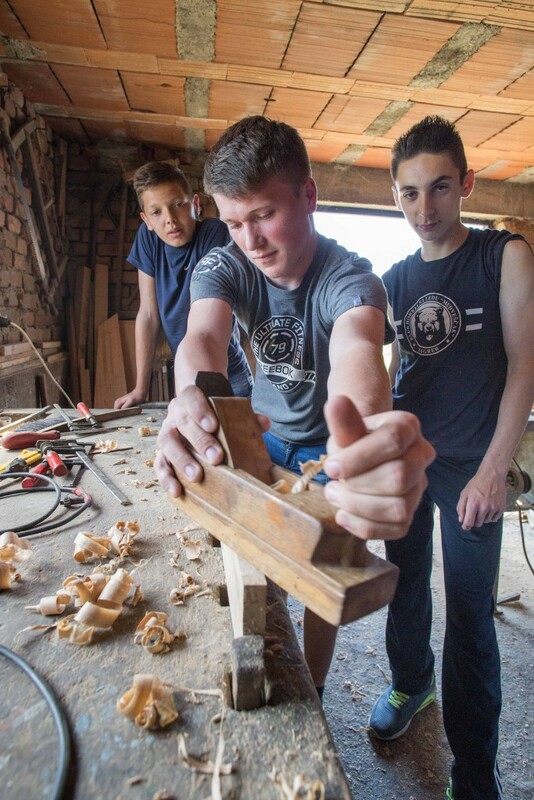 The program culminated in four of the students going to the Lučka Kapitania to receive captain’s licenses, Boat Leader Category C. This coming year the school will be expanded to include boat building. Total number of students engaged – 55. Groups ranged from 5 to 12 on several types of programs. Expeditions tended to be smaller groups 5-8. while day programs and sailing school could accommodate more children 12 – 15. Total Program days– From June 1 to August 30, 42 days were spent engaging students directly in on-water programs on board traditional vessel on the coast or at sea. This year we began a partnership with the lab group of Claudia Kruschel. The purpose of this project was to plan an implement a web based data collection system for the logging of marine debris. Each of the sites that we worked of beach clean up were logged and then posed on the internet in the map portion of our website. 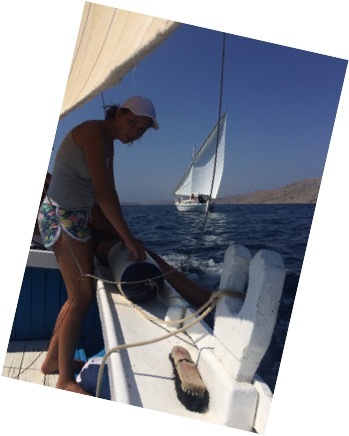 Melita Mokos, the marine education specialist on the team participated in the Kaštela Maritime School and the Kornati Adventure. Teaching student the names and adaptations these animals have to survive in the intertidal zone. This partnership was formed with the intention to continue the traditions of boatbuilding in the various locations around the country. Davor Mihalić has been building boats with kids for the past 6 year. We thought that this would be a natural partnership and his help was essential. For the second year our partners included the Organization MoSt which is dedicated to helping transitional housing for homeless young people and stopping youth violence. This is great partner for AMI and for programs this summer. It will expand the number of young people we work with in a deep and meaningful way bringing life changing experiences to those who need it most. We have also partnered with the Dolphin Dream society an environmental organization who’s mission included helping educate young people about the importance sea life conservation and preserving nautical heritage. They make a important partner for this years Great Watermelon Voyage since they will be donating the use of their Bracera Gospa od Mora a replica of a 17th century traditional cargo vessel. In 2016 AMI is Expanding! 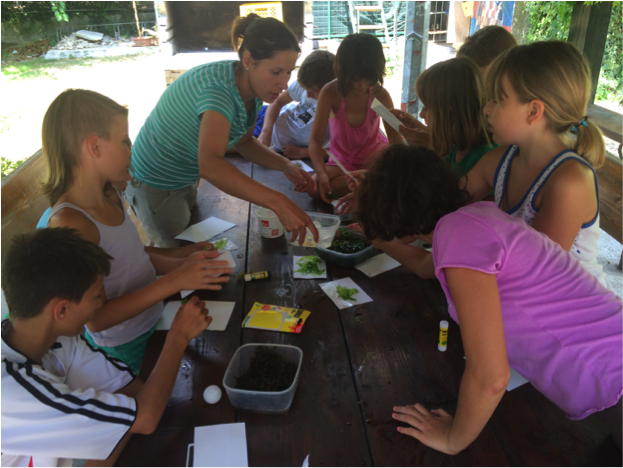 During the 2016 season AMI has plans for several new programs including exciting development of year round activities for AMI students with two new boat building and maritime skills centers located in Sisak and Kaštela. In the winter of 2015 AMI won the Reach for Change Social Entrepreneurship Challenge. With the financial assistance provided by the prize each location will be fitted out with the tools and equipment to start building small boats. In Sisak the shop will build wooden skiffs used for river travel. In Kaštela the students will build the flat bottomed rowing and sailing boat the Batel. New orders for boats will be taken in starting in February at our annual gala, which will be held in Zagreb. If any one is interested in purchasing a boat from the new shop or attending the event, please let us know. 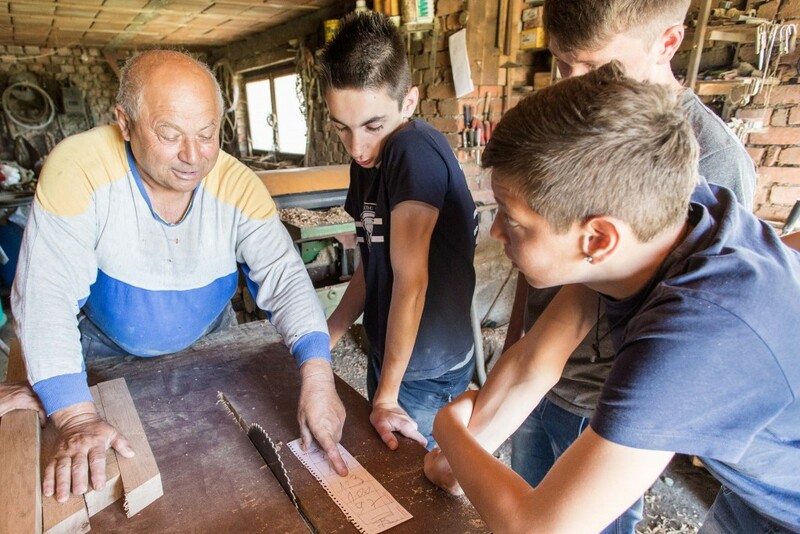 As part of this exciting development, a partnership between Lonjsko Polje National park and our Sisak base will allow our staff and students to give tours these hand made boats through one of the biggest wetlands in the country. If you plan to go to Croatia this year please let us know and we will plan a custom trip to this wildlife haven in one of Croatia’s newest national parks. Through this mode each boat building shop is designed to be self-sustaining. We will employ students from the homes where we have had partnership for the past 6 years for building boat and tourism. Eventually the goal of AMI is to allow local organizations to take over the projects and run them independently with AMI as an organizing body. The staff and support will be run entirely at the local level. Each regional partner will be trained to run the programs with expertise in pedagogy, fundraising, and maritime skills, while AMI will assist in the processes and provide support where needed. In this way AMI can help local organizations build necessary skills and knowledge as well as take ownership of the youth development and preservation programs started in the area. This program is an expansion river program completed this past summer. It is designed in order to work with students along the rivers of the central region which boarders the three countries of Croatia, Bosnia, and Serbia. It is planned to help sustain the intangible heritage of boat building and maritime skills along the river and to use the boat as a cultural object and tradition that is shared by each of countries that live along their banks. In this methodology, the boat is used as a practical element in post conflict reconciliation, team building, and dynamic tool around which the curriculum can be arranged. The River Odyssey is a three-part program; with a preparation phase, building phase and expedition. When students arrive at the site, they will begin to get the idea of how the program will take place, become accustomed to the tools and begin to gather materials. During this section students will learn the names of the boat parts and trees that will be used in the building. They will also learn about their partner groups and form teams with members from each of the member counties. The building phase will take place as an intensive five-day process. During the building of the boat students will get a chance to see the process though from beginning till completion. The program itself has four curricular elements: the peace building, environmental and education, and job skills training. The peace-building curriculum will use the boat as a cornerstone to discuss shared cultural values and similarities and differences. The environmental aspect will be focused in three areas, first forestry education, in the learning the names of the trees, secondly the watershed learning how the river flows and seeing on a map tracing the route from the mountains to the sea, and the third as pollution prevention in the trash cleanups and environmental education that will be done during the expedition. Job skills is learned though the building and includes basic carpentry as well as maritime skills such as navigation. Social pedagogy is critical in the cooperation that must be achieved in order to work together as a group. This includes teamwork and cooperation as well as the fundamentals based in non-violent communication skills, stating personal needs and active listening. Fundraising will begin in February during our annual T-shirt drive. Artist James Tucker will design the shirt based on the peace paddle theme. Bender, J. (2015). Conceptual development of the trail methodology for the preservation of intangible maritime heritage: A case for the Adriatic coast and islands. Journal of Marine and Island Cultures, 4(2), 55-64. This article was published in the Journal of Marine and Island Cultures. The focus is on the idea of the maritime heritage trail, which links several small venues along the coast to help small organizations that preserve traditional boats to attract visitors, and maintain sustainability in the competitive tourist economy. HRT Denvenik- Program spot seen national in the daytime and evening news. Adriatic-maritime.org featured blog posts that ran consecutively with the trip and had each one highlighting moments in the voyage. Radio Vela Luka- They Feature and extensive 20 minute interview with the crew and complete discussion of the project.